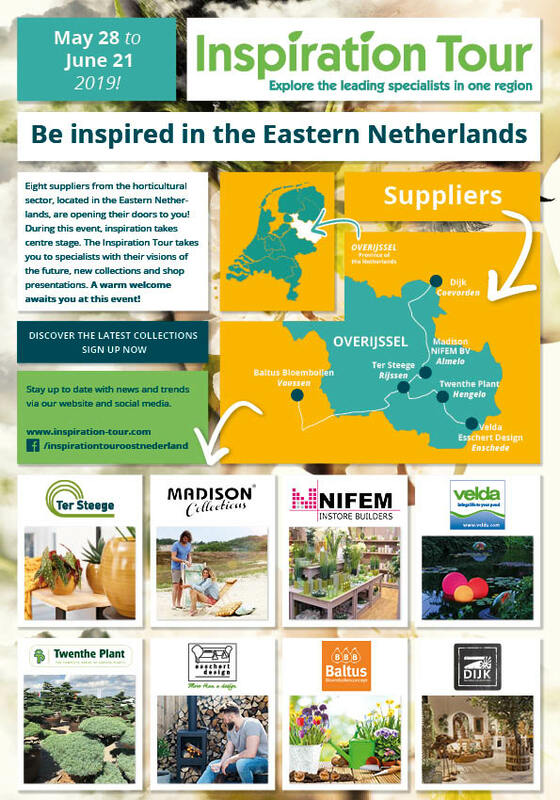 Eight suppliers from the horticultural sector, located in the Eastern Netherlands, are opening their doors to you! During this event, inspiration takes centre stage. The Inspiration Tour takes you to specialists with their visions of the future, new collections and shop presentations. A warm welcome awaits you at this event! Make an appointment? You can schedule an appointment on www.inspiration-tour.com. Please indicate the suppliers you want to visit and enter the preferred date(s).